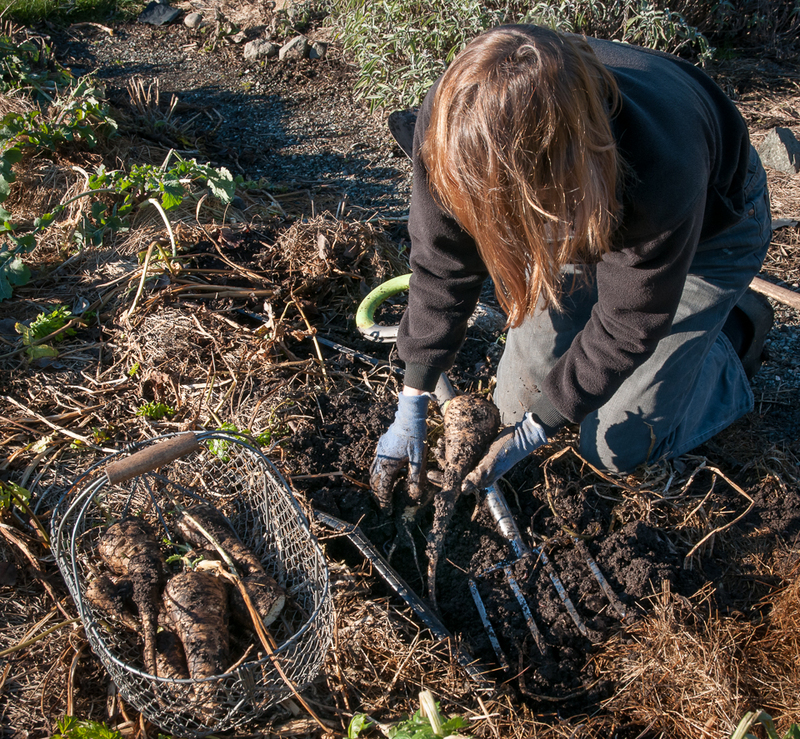 This winter’s kitchen garden has offered a steady supply of parsnips beginning when the deep cold of early December transformed these sturdy roots from starchy to sweet and continuing on through more freezes and thaws. 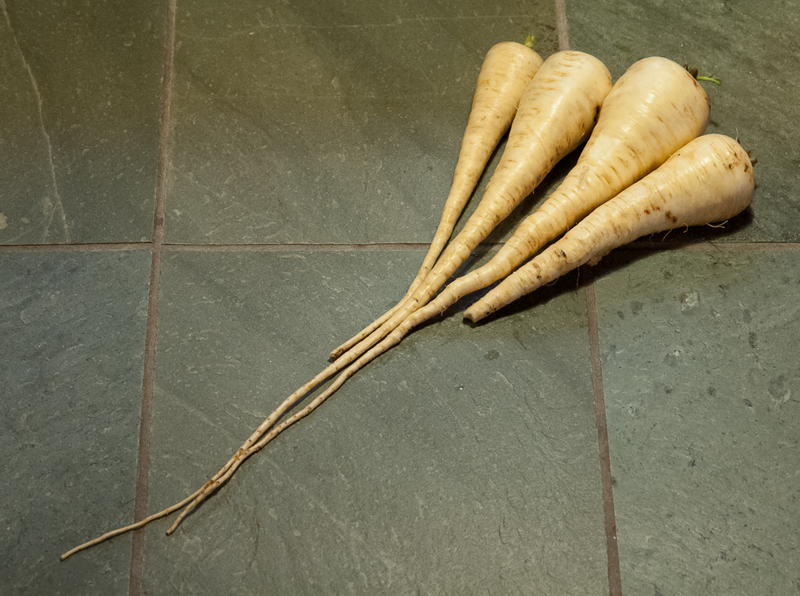 There’s one more row left to take us to spring so still opportunities to experiment with parsnips in the kitchen. Lately I’ve discovered how tasty parsnips are with pork. Roast pork with potatoes and parsnips is lovely but sausages and parsnips are really good too. 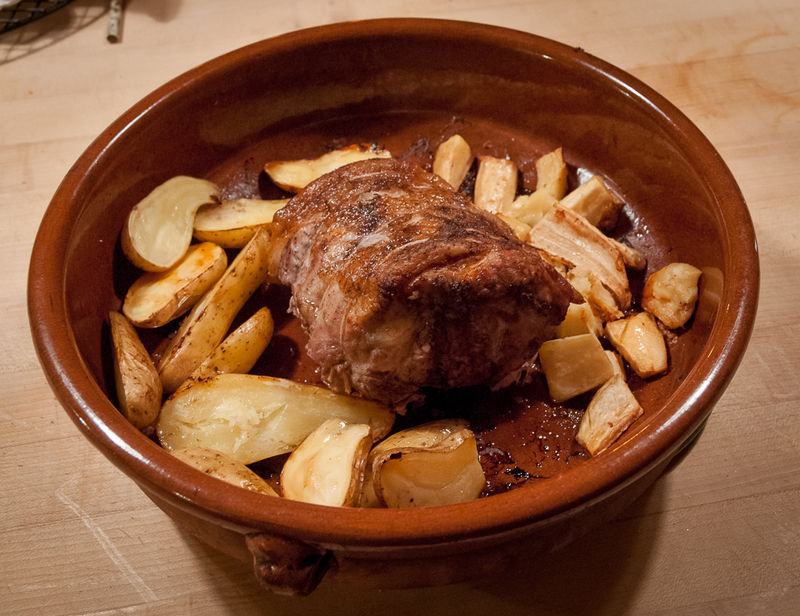 One recent evening I had some leftover roasted parsnips, some spicy pork sausage meat and dinner to make. A quick Google search turned up a recipe for Orecchiette with Sausage, Chard, and Parsnips that confirmed my sense that sweet, caramelized parsnips and crispy fried sausage would be a great combination on pasta. There was more red mustard than chard in the kitchen garden so I sautéed that in some of the fat left from frying the sausage, returned the sausage to the skillet, added roasted parsnips, heating for a few minutes until both were warm, then added the cooked orecchiette and served this delicious combination with lots of grated Parmesan. I think the red mustard was actually a better choice than the chard. Chard’s sweetness would have matched the parsnips’ while mustard’s spiciness joined with the sausage for a stronger sweet/spicy contrast. My only regret is that I didn’t get a photo before we started eating. With the memory of this delicious meal still in my mind and plans to experiment further with parsnips, pork and pasta, I was delighted to find Melissa Clark’s recipe for pasta and parsnips in the next morning’s New York Times. She combined roasted parsnips, bacon and leeks with heavy cream, grated Parmesan and chopped parsley and served this rich sauce on bell-shaped campanelle pasta. 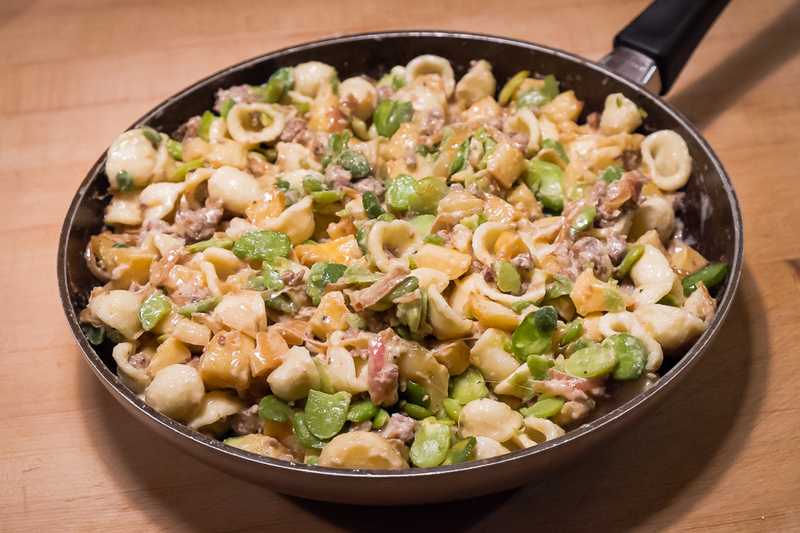 I substituted sausage for bacon, orecchiette for campanelle, red onion for leeks, and added fava beans for some green but totally followed her advice for reducing the cream until it thickened to a sauce around the sausage and vegetables. This creamy version probably isn’t quite so healthy as the red mustard one but very comforting all the same. I’ll make both again and will even follow Clark’s recipe exactly next time. And I’ll try to remember photos. There’s one more parsnip and sausage recipe I want to try, this one from Nigel Slater’s Tender, A Cook and his Vegetable Patch (2009) p. 353. He simply browns then bakes parsnips and sausages together with a little onion and stock. 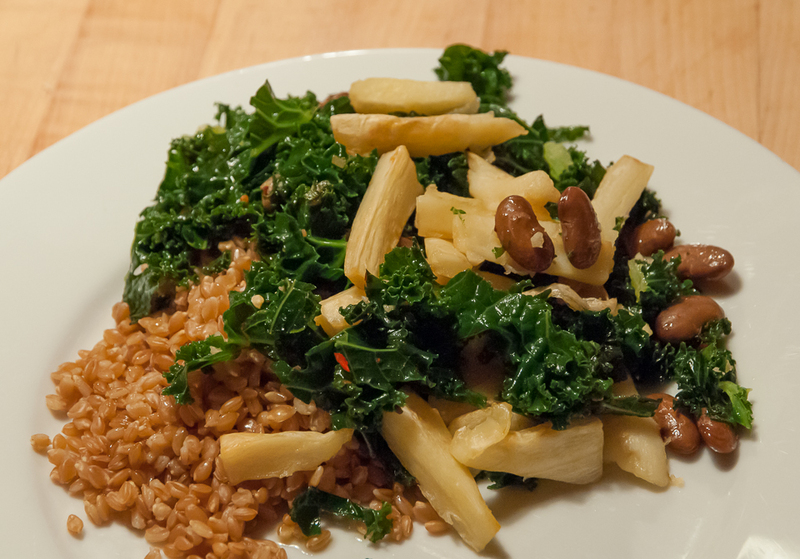 It sounds wonderfully satisfying and a perfect meal for our lingering winter. Peel the onions and slice them in half from root to tip, then cut each half into six or eight pieces. 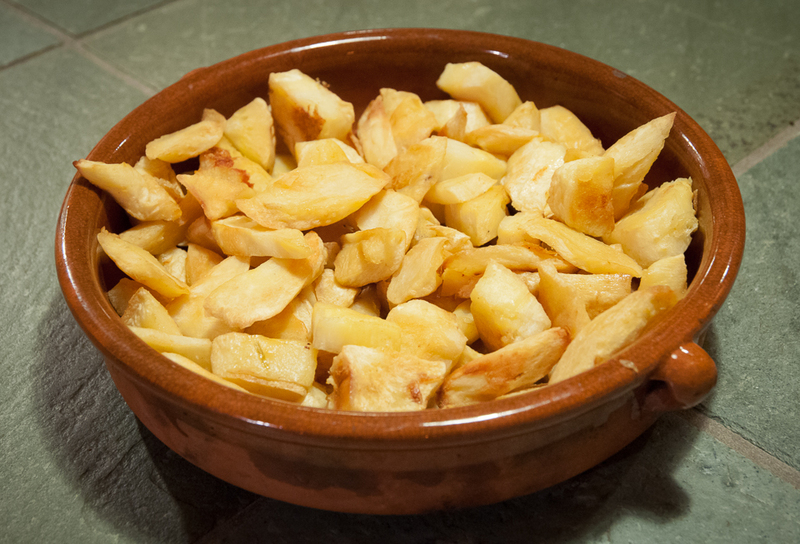 Soften them slowly in the oil in a flameproof baking dish or roasting tin over a moderate heat. 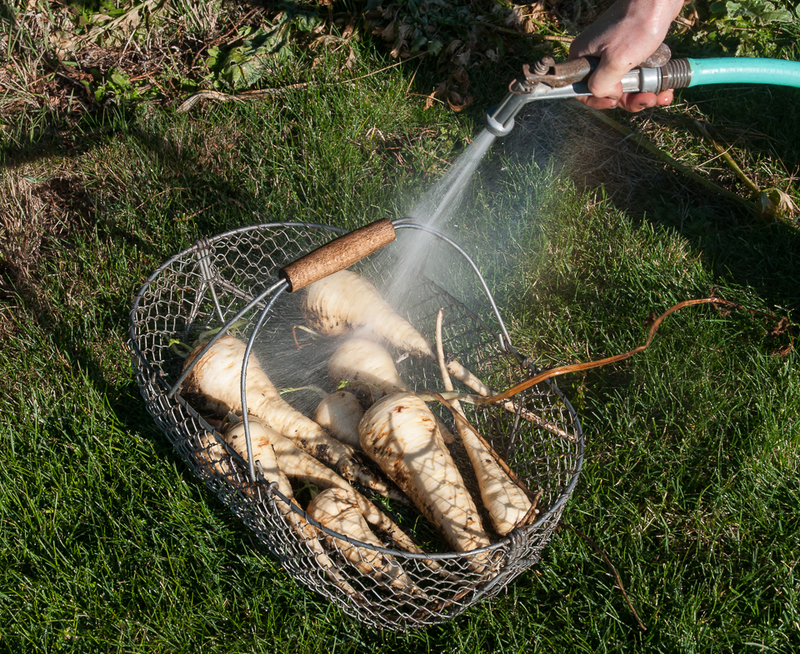 While they are softening, peel the parsnips and cut them into short, thick chunks, about the length of a wine cork. Add them to the onions and leave to color, turning up the heat a little if needs be. Remove the onions and parsnips from the pan. Cut each sausage into three, put them in the pan, adding a little more oil if it appears dry, and let them color. Return the onions and parsnips to the pan. It is important everything is a good color before you proceed. Strip the leaves from the thyme and stir them in, together with the stock. Bring to the boil briefly, then put in the oven to bake for 35-40 minutes, until the sausages are cooked right through, the parsnips are tender and the stock has reduced a little.